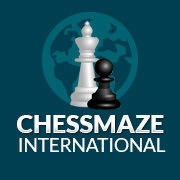 He intends creating a company to structure Welsh chess’ development by means of a professional organisation, in order to further the WCU in its mission, by contributing funds in the form of royalties and dividends. For the moment, the project is under construction: marketing, curriculum, tutor training methods, the administrative side, and much more. Four pages on what Carl needs. (Tutors; Webmaster with appropriate background; Volunteers: committed and occasional; Contacts: press, council officials, headmasters and teachers). On the 18 TH NOV last, I presented my development project to the WCU management board. Initially this was to lay a new foundation and establish a vision for Welsh Chess from within the Union’s structure but since I was appointed development director, my thinking has led me elsewhere. marketing strategy will be to give simultaneous displays in town halls for theheadmasters of the county, after which they will take part in a PowerPoint presentation. Interested schools can then survey their parents to see if there is enough interest. We intend to compensate the school for their logistical assistance at the rate of £15 per child who enters the program. Tutors will be paid at an attractive rate, and will be trained in numerous ways as well as provided with a revolutionary curriculum based on Nimzowitsch’s principle “contacts before moves”. ChessCalibur will start its activity in the counties of: Neath Port Talbot, Swansea and Carmarthenshire, before expanding to the whole of Wales over a number of years at a rate depending on its success. The WCU will receive 5% royalties as well as holding 24% of the shares. This money will be redistributed at the discretion of the development committee that I will no longer be a member of, thus avoiding any claims of conflict of interest. I will however strongly advise where development could have long term effects. It should finance projects such as expenses for the Olympiad teams, funding for promising juniors to have private lessons, larger prize pools and invitations to our international tournaments and local congresses. I would very much like Grandmasters to come over from Eastern Europe and give courses to our great chess community, without it costing them anything. The goal is to get the ball rolling and turn Wales into a chess Nation. The point of no return is the 1 st of January, a deadline after which I will either be 100% committed or out, there is no point in going halfway. To be able to make a decision I still need to gauge enthusiasm as well as create a team. My primary assumption, that needs to be urgently turned into reality, is that many players in Wales would like to either become a full time or part time chess tutor if the possibility was there – or maybe just give a weekly lesson at their local school. Tutors would be paid £37.50 for an hour and a half session and could provide as many as 5 sessions a week (you do the Maths). You can then add private lessons to become full time and we will advertise your profile on the website. We also intend to canvass retirement and nursing homes, where lessons will be given at earlier hours of the day. If 1.5hr seems long for children who are absolute beginners, don’t worry . The intention is that a 1 hour lesson (which includes tutoring and allowing kids to work in creative workshop structures) can be spread over a slightly longer period to avoid stress, allow a minimum of disturbance without constantly policing behaviour, take attendance, etc. Parents are happy for the children to be in safe hands while they are at work, so it is all about enjoyment and discovery, not force-feeding them. The curriculum, as I mentioned, is tailor-made. Those who have never done any coaching will be glad to hear it will probably be easier for you as the method is slightly counter-intuitive at first sight. The plan is to have every lesson: filmed in a classroom, on video for you to observe, have the template of each lesson at the click of a button, as well as video conference support and a blog to communicate with other tutors and share concerns. I need players with a minimum elo rating or strength of 1300 (no more is needed at this level), in the Neath, Swansea, and Carmarthenshire areas. You would need to be free at the time school ends and having a vehicle is an obvious plus. If you are interested send a mail to developmentdirector@welshchessunion.uk and I will put you on a list, and send you an application form in due time. My provisional minimum target is for 20 schools to enter the program at the start of the 2017 school year, some hopefully with more than one class (minimum 15 pupils and maximum 20 pupils at a time). With no tutors, there is no business. As ambitious as I am, I realise I cannot go into this adventure alone. The ‘product’ as such, is my affair. Not only do I have the ideas but I have the image and credibility needed in the outside world. The WCU has already backed the initiative; the next step will be to get the Welsh Assembly’s stamp of approval too. I can also handle the commercial side of things; give the simultaneous displays and presentations, as well as meeting with potential sponsors. There are however aspects where I need help, making for a division of labour. My close friend Lucas Calka, based in London will be in charge of the administrative side of things. Payroll, book keeping, etc…Paul Scott, as financial director of the WCU will overview all is in order.  To film every lesson in the classroom and create state of the art videos for the tutors.  To create a short 10 minute documentary on the curriculum (our product) for which the script is already written. I have teamed up with the film and media digital university in Swansea, Trinity St David. Nick Long, a student in his final year before he hopefully receives his Masters has taken on board this project. It would be good to have an expert in this field who could take up the role of webmaster. This role can be done while managing a career elsewhere but of course I need commitment and competence; it doesn’t, however, require any knowledge of chess so if you have a friend in the outside world who could fit the bill and you can account for on a verbal level, please get in touch, but I do prefer it to be a chess player. They will be paid in dividends, a negotiated % of common shares rather than a salary, so the more they put in and do a serious job, the more they get out and the less headache I have, the more I can attend to other matters. As mentioned earlier, 5% royalties as well as 24% of the dividends go the WCU. This is of course part of my advertising stunt, nevertheless, it contributes to the bigger picture, and hopefully one day within the next couple of years, we will be able to change WCUs financial fortunes. From this symbiosis, I hope to encourage a team of volunteers to come forward; those who wish to help Welsh chess develop. It is also my hope for ChessCalibur that in time, it be associated with the WCU not only on paper but also in the minds of its members. When giving presentations, I cannot stand alone to represent a company – headmasters, future clients or sponsors must see there is a team who can get things done. To my mind, there are two kinds of volunteer. The first are those on a purely spontaneous level, who don’t mind giving a helping hand on occasions as a goodwill gesture. The others are those who could commit to the company. I am seeking 10 reliable members who will each be given 1% of the equity for their efforts. Their duties would include being an intermediary with their local schools in case there is a problem; helping on open days: to take equipment around, set up boards, to give fun initiations, to make an act of presence, run errands. Again, if you are in the selected areas and interested, please send me a mail developmentdirector@welshchessunion.uk so that we can put together a team. This could be anyone. Local or county councils. Headmasters or teachers. A contact in the BBC, the community channel, or any form of local or national press. Anything you come up with that you think could be handy. Without a minimum of all these things, the idea just crumbles before it starts. I’m hoping, however, that I am just saying aloud what was on everybody’s lips.